Check out our FAQs to answer all of your client-related questions! 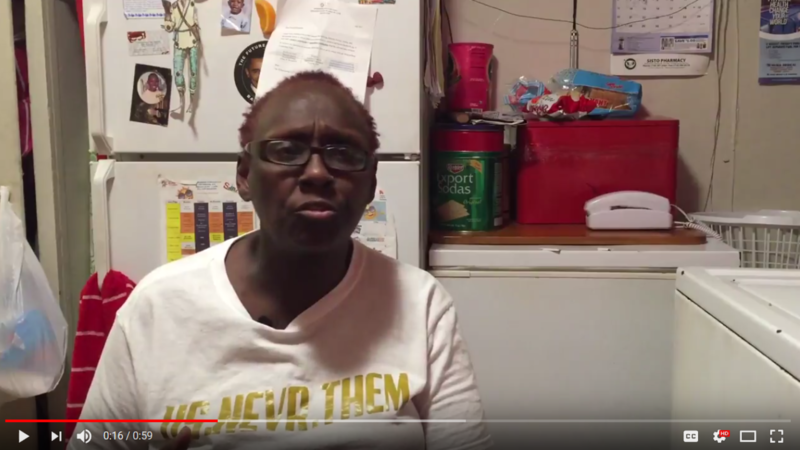 Who is eligible for meal service from God’s Love We Deliver? We serve members from health plans and provider organizations through our group contracts meal program. For more information about getting meals for a member, see this page. We also serve unaffiliated individuals who are too sick to shop or cook for themselves. Individuals must be living with a serious illness, have some restrictions in activities of daily living (such as difficulty standing or walking), and be able to get doctor’s verification of these limitations. For more information, download the required forms, read about our program, or email us at clientservices@glwd.org. Finally, we serve the dependent children and senior caregivers of people living with a serious illness. I work for a health plan or provider group and we use God’s Love We Deliver for our members. How do I register a member for your program? Fill out an authorization form. I want to get meals for me or a loved one. How do I register an individual for your program? Email us (clientservices@glwd.org) or call us (212.294.8102) to confirm that you qualify. When do you deliver meals? We deliver to you on a scheduled delivery day once or twice a week, M-F, 8:30-4pm. When you register for the program, we call you to confirm delivery details. If I'm not home at the time of my delivery, will you leave my food with my doorman, front desk, neighbor, superintendent or on my doorknob? We want to ensure that our clients get all of their meals and that this food is safe to eat, so we do not leave food with a third party or outside the home. If you will not be home for delivery, please arrange for a friend or neighbor to be in your home, or call us to cancel at 212.294.8102. If you miss a delivery without notice, call us immediately to restart services. Why do I need to submit a HIPAA form? Why do I need to send a confidentiality release form for my client or family member? We use a client’s medical diagnosis to determine eligibility. Medical diagnoses are confidential and protected by New York and New Jersey state law. Clients need to give us access to recent medical information. Under our provider contracts, health plans and providers decide what meals (breakfast, lunch, or dinner) and how many days a week a member gets meals. We send unaffiliated individuals 10 meals each week, 5 lunches and 5 dinners. Do you have a waiting list for your services? No. We process referrals and applications as we receive them. Is there an income limit for clients? No. We provide services regardless of income. Some of our contracts do require us to ask about income levels, so we collect this information. What illnesses qualify someone for your program? All clients must have a diagnosis of serious illness and have difficulties with activities of daily living. Hundreds of diagnoses and restrictions fit these qualifications, and we evaluate every application on a case-by-case basis, so we do not publish a list of illnesses. If you have questions about whether you qualify, please contact us at clientservices@glwd.org. 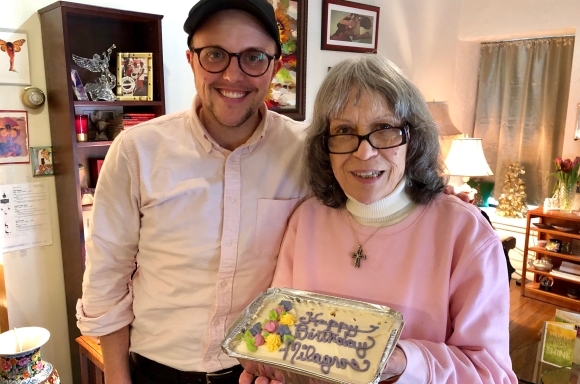 Many of our clients need other services in addition to home-delivered meals and nutritional counseling, so we work with agencies in New York City and Hudson County, NJ to help coordinate care. If you or your client needs to be referred to case management, home care, nursing services or have medical, housing or addiction treatment needs, we can refer you to an organization near you. With 10,000 volunteers annually, we ensure that when a woman is facing the crisis of breast cancer and a long road of difficult treatments, she doesn't have to worry about taking care of her most basic need -- the need for nutritious food. Our client Charles loves his birthday cake baked and personalized by Chuck the Baker! 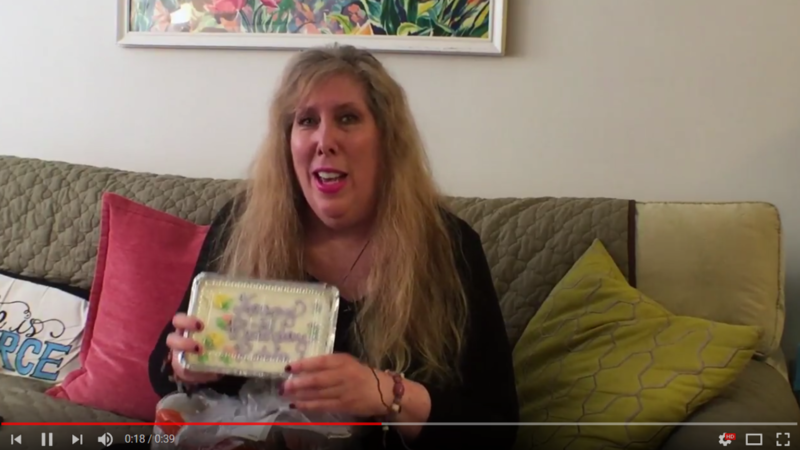 Our client, Robin, loved her birthday cake from Chuck the Baker! 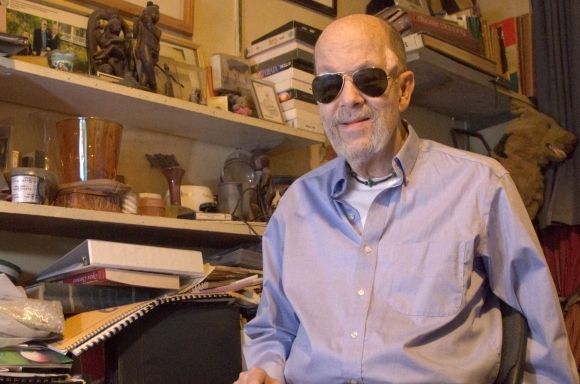 Craig is 78 years old and lives with chronic obstructive pulmonary disease. It has been years since he has been able to leave his apartment, and Craig suspects he might not even recognize his own neighborhood now. Before God's Love, Craig was extremely worried about how he would survive on his own. 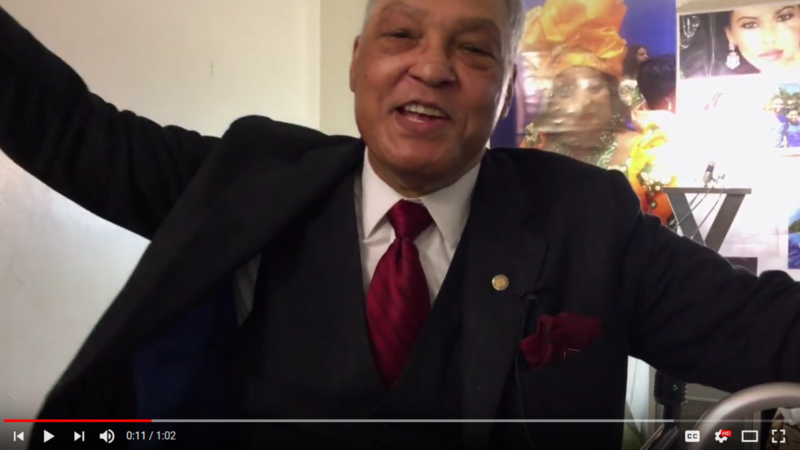 Luckily, he had a friend in Joan Rivers who referred hm to our program. 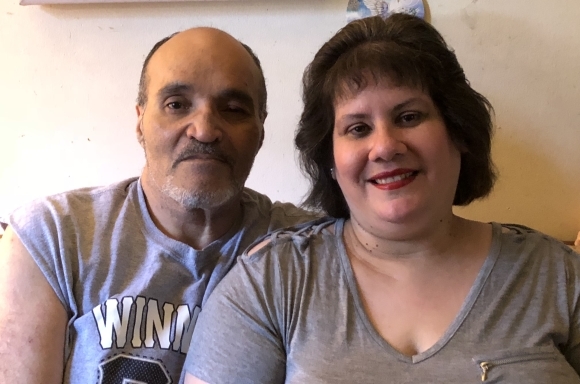 Craig reached out to God's Love and immediately began receiving nutritious, home-delivered meals tailored specifically for him and his diagnosis. 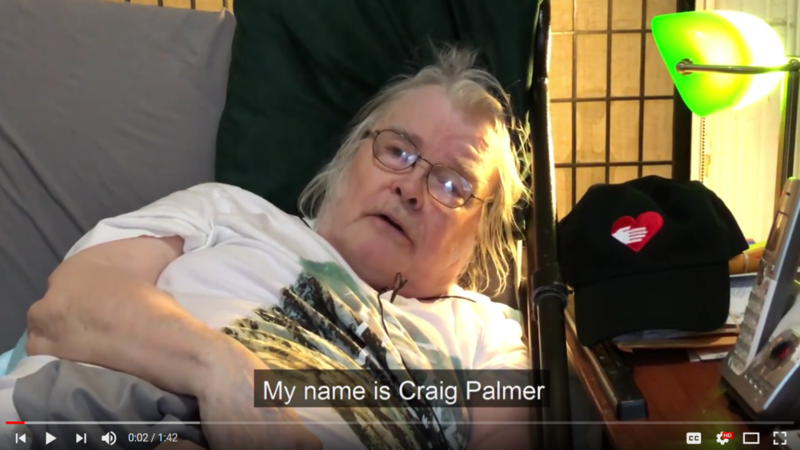 Craig expressed his gratitude to God's Love for providing comfort, love, and nutritious meals, and for making his life a little easier: "Please keep going. You help so much." Meet our clients Peggy and Stacie! Every day, we make it easier for moms to care for their families by providing nutritious, home-delivered meals to those living with severe illness and their families. 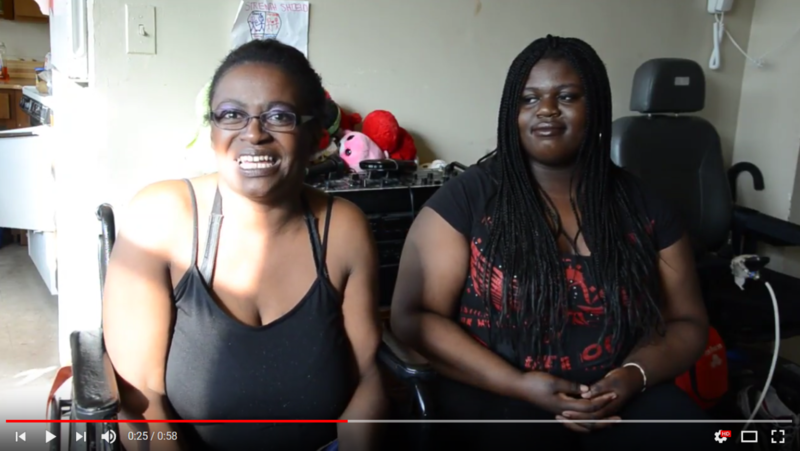 In this video please meet our client Peggy, and her daughter Stacie, to whom we deliver in Queens. 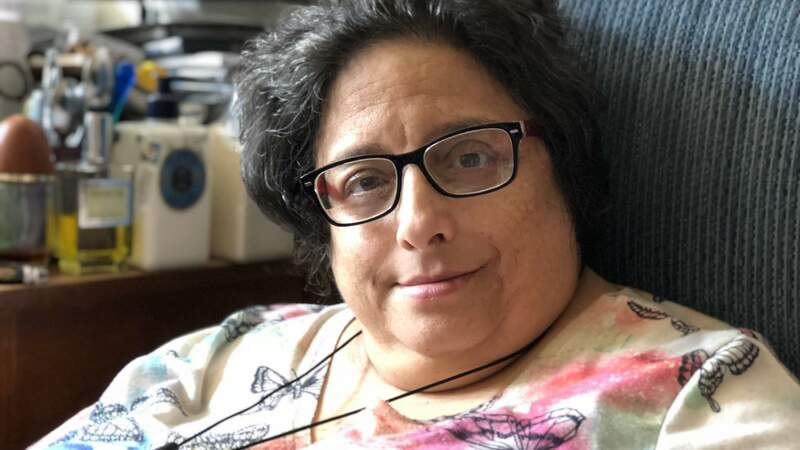 Our client Rosemarie is an Army and Navy veteran and is living with Chronic Obstructive Pulmonary Disease, which makes breathing very difficult. She can no longer shop or cook for herself due to her illness, and luckily, she has nutritious meals from God's Love We Deliver. Her doctor approves of her menu from God's Love so much that he gives us a "thumbs up"!